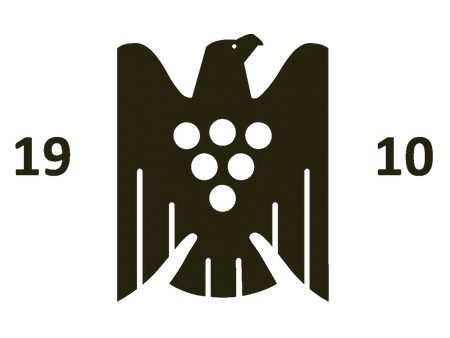 The Verband Deutscher Prädikatsweingüter (VDP), established in 1910, just sent a press release about a controversy over new membership in the VDP Mosel, also known as the Grosser Ring, one of ten regional associations of the Prädikat Wine Estates, as the VDP calls itself in English. The executive board of the Grosser Ring (VDP.Mosel-Saar-Ruwer)—Egon Müller and Nik Weis of St. Urbans-Hof—and one other board member, Claus Piedmont, stepped down on June 22, after the outcome of the vote to admit three new members—namely Markus Molitor, Lubentiushof, and Knebel—to its ranks. Only Knebel was voted in, barely reaching the necessary two-thirds. Both Molitor and Lubentiushof had about one-half and were rejected by the Grosser Ring. Egon Müller, the former president of the Grosser Ring, had asked his fellow members to let him know if they had any concerns about the potential candidates at a meeting back in January, to avoid having such a result, which he calls a "breach of trust." Many years ago, Clüsserath-Weiler, an estate in Trittenheim, hoped to become a member of the Grosser Ring, but then was denied membership when it came to a vote by secret ballot. This upset the then president Eberhard von Kunow of Weingut von Hövel, who had promised the estate owner Helmut Clüsserath that he would be accepted by members of the Grosser Ring. Correction: According to the VDP statute for admission procedures (§ 6, Second Paragraph), the board of the regional association or the national association along with the regional board has to propose a new member. In turn, the general assembly of the relevant regional association has to endorse this proposal by a two-thirds majority. If the new member is keen on proceeding with the admission process, then the new member has to face an audit. (Instead of a new member, they mean potential candidate.) Should the member pass this, the general assembly of the regional association can approve the admission by a simple majority, though the national VDP retains a veto. In other words, it's a two-step process. Knebel has only passed the first part of becoming a Grosser Ring member, quasi the feeling-out process. But because of what occurred at the general meeting on June 22 (including more votes than members), the results of the voting are not legally binding. Thanks to Florian Lauer of Weingut Peter Lauer for pointing this out me (see comments below). Image courtesy of the VDP. Lars, just to clarify – the reason for Müller, Weis and Piedmont’s stepping down was disappointment that the other members chose not to vote the estates in question into the Grosser Ring? Does each VDP estate get a vote in such matters or is there a committee of representatives that make the decision? Yes, I’m sorry if it wasn’t clear. I’ve yet to speak with a VDP member about what occured at the general meeting, which was held at Weingut von Hövel, in Oberemmel, on June 22. If I’m not mistaken, each VDP estate owner gets to vote on this. In the case of Clüsserath-Weiler, I always thought that a member with holdings in the same village (such as Milz-Laurentiushof or Grans-Fassian) could block membership. Over the years, the Grosser Ring has admitted various new members, including Willi Schaefer, Schloss Lieser, Reichsgraf von Kesselstatt, Heymann-Löwenstein, Van Volxem, Clemens Busch, von Othegraven, Peter Lauer, and, most recently, Maximin Grünhaus. For different reasons, Mönchhof, Studert-Prüm, and F. Weins-Prüm are no longer in the Grosser Ring. Let me give you a little background information. An important member of the Grosser Ring had leaked the names of the potential candidates to the press. In doing so, he not only hurt these producers but also the VDP, even if this wasn’t his intention. Although I can understand his frustration with the voting, I later learned that all members were supposed to keep silent on what transpired at the general meeting. Despite the press release from the national VDP, it was not clear to everyone (including Grosser Ring members!) that this was a two-step process for admission to avoid repeating what happened to Clüsserath-Weiler years before. But it’s even worse, and blaming the media and rationalizing won’t help much. I refrained from contacting a Grosser Ring member about the turmoil. Instead, I chose to rely on the VDP press release and other reports before writing my article, which was published over a week after the first reports. I’m not surprised that a certain faction of the Grosser Ring voted against Molitor, who is considered by many people to be the top producer in the Mosel region. But one has to ask: how does his portfolio fit in the new VDP classification model? Molitor produces so many different wines from great vineyards. He also labels almost all of his dry-tasting wines with a Prädikat and not all of these are legally dry, or trocken. While I can appreciate Florian Lauer trying to do some damage control for the Grosser Ring, someone on the board needs to step up and take control. The Grosser Ring will reconvene in August. This morning, the Grosser Ring members will meet at Hotel Deutscher Hof in Trier to discuss matters of concern. I was told by a member the night before that there’s a “spy” in their ranks. He also said that legal issues preclude someone from taking charge in the interim. In a press release from the VDP, Carl von Schubert of Maximin Grünhaus has been elected president and Dorothee Zilliken vice president of the Grosser Ring. Egon Müller and Nik Weis will remain on the supervisory board. The other board members include Thomas Haag of Schloss Lieser, Clemens Busch, and Johannes Haart of Weingut Reinhold Haart. For now, the vote for new members has been postponed. It’s surprising that Carl von Schubert, who is a new member of the Grosser Ring, is already president. But he appears to be a good choice as a mediator between factions of the Grosser Ring.